Whether you're a student looking for an internship, a young professional looking for your first job or a seasoned engineer looking to breathe new life into your career, AIChE offers a variety of options to help guide you. Learn about institute networking opportunities, attend a career fair, get profession advice, or simply check out the AIChE job board, CareerEngineer. 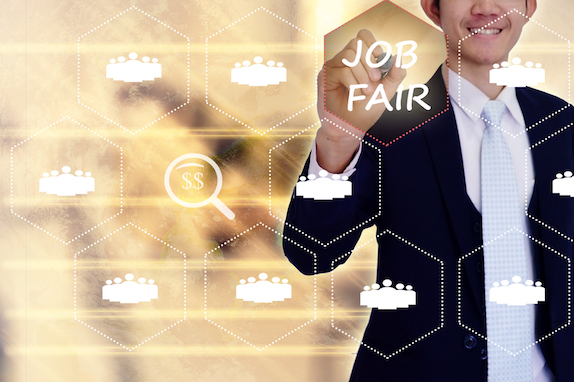 On April 11, 2019, AIChE hosted our online career fair. Stay tuned for updates on our next career fair. Find CheE and CheE-related jobs on CareerEngineer job board. Employers will look for you here so open your account, upload your resume and let CareerEngineer work for you. ChemE Undergrads can search AIChE's CareerEngineer for internship and co-op positions on the Internship job board. CCPSC, the CCPS Process Safety Professional Certification designation, is the definitive stamp of approval in process safety. It assures your company and colleagues that you are thoroughly grounded in process safety practice and have the experience and knowledge they seek. A Professional Engineer (PE) is an engineer that has been licensed by a state. The license symbolizes that the engineer has completed certain training and has demonstrated a specific degree of competency in a field of engineering. The “ChE Faculty Candidates Resource Center” is a place where candidates can find answers to just about any question they have about the job search process - starting with statistics about the candidates themselves and academic salaries, to information about the internal workings of the hiring process. AIChE Academy brings a full array of education and training resources to chemical engineers and the companies they work for. You’ll find courses, webinars, conference presentations and more. You can search by topic, availability of CEUs and PDHs, delivery method, skill level—even location. Build and maintain a meaningful network and get ongoing career support and inspiration from colleagues you meet through AIChE. Plus, access professional and technical training, salary information, and connect with other members on AIChE Engage. This year's survey provides detailed information on earnings for chemical engineers across industries, benefits, and more. Career Corner: Have You Been Bitten by the Entrepreneurship Bug? AIChE recruitment products (digital job board, print ads, onsite recruitment fairs, and virtual career fairs) attract the eyes of job-seeking engineers working in bioengineering, chemical engineering, energy, process engineering, process safety, and other fields. The AIChE Mentor Center is currently under construction. Check back on this page for future updates.